Theme Dinosaur detective - solve a cretaceous crime and create a prehistoric dino habitat Break a leg! - learn about and make your very own model of a bone Annoying anopheles - make a mosquito and learn why they make that very annoying buzzzzzzz Web of doom - make a sticky web and learn how spiders trap flies Make a magnet - create electrical energy to make an electromagnet Magic - a little science experiment which makes water disappear! Marble-ous planets - make your very own solar system! Heavenly honeycomb - combine science and baking to create something truly scrumptious Cell on a slide - use air putty to create a giant microscope slide of a cheek cell Magnificent morse - pass on top secret messages in the dark Cloud in a bottle - an experiment exploring pressure Splitting water - make your own electrolysis device to split water Sparkling snowflakes - make sparkly snowflakes using chromatography and evaporation! Do you need a great value gift to satisfy a curious young mind? 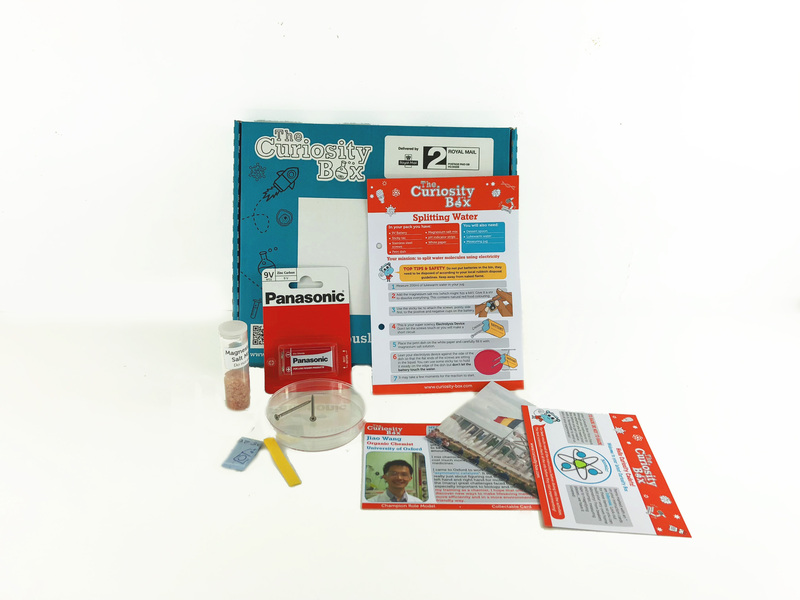 Our Pico Boxes contain 1 science activity with added feel good fun! Lots of themes to choose from. Splitting Water activity shown.